Maybe you already know the Vitamin C basics – that when applied topically this skincare ingredient is an antioxidant, an anti-inflammatory, and a collagen simulator. I’ve blogged in the past (see my post Great Skincare Ingredient: Vitamin C) about how much I love Vitamin C as part of a daily skincare routine. Yet finding the right Vitamin C product for your skin can be confusing because of the numerous products on the market and different formulations of Vitamin C out there. I hope this post will help clear up any confusion my readers may have about this subject. As already mentioned above Vitamin C can have numerous benefits for the skin. Not only does Vitamin C protect the skin since it is an antioxidant it can also control oily skin, hydrate, and help your sunscreen work better by shielding the skin from UV rays that your sunscreen misses. But if you get a product that is too strong you can end up irritating your skin instead of helping it. Or you could invest in a product whose formulation just isn’t effective and/or unstable. There are numerous versions of Vitamin C formulations in skincare products. Irregardless if the Vitamin C is from a natural or synthetic source all Vitamin C needs to be processed to some degree before it can be used in skincare products. Synthetic Vitamin C ingredients are more readily available, are less expensive, can be more sustainable, and break down at a slower rate than natural forms of Vitamin C. These facts can factor into a company’s decision about which form of Vitamin C to use in formulating their product. In my research I’ve come across quite a few different forms of Vitamin C found in skincare products. In this post I’ll discuss the following versions: L-Ascorbic Acid, Magnesium Ascorbyl Phosphate (MAP), and Ascorbyl Palmitate. Though you will come across other versions of Vitamin C in skincare products these three are widely used in skincare products. Let’s look at each of these forms of Vitamin C up close. L-Ascorbic Acid in skincare products is the closest form of Vitamin C to that found in our diets. But before you think that this version of Vitamin C comes from an orange be aware that companies use a version that is synthesized in a manufacturing plant. The upside to this version of Vitamin C is that it is an effective anti-aging ingredient that promotes collagen synthesis since it is the most potent form of Vitamin C used in skincare products. Some studies have found that this version of Vitamin C prevents trans epidermal water loss (which is important in maintaining healthy skin). The downside to this version of Vitamin C is that it can be unstable because of its low pH and can oxidize when exposed to air so you need to store it in a dark place. This version of Vitamin C is the most stable version of Vitamin C used in skincare products. It equals L-ascorbic acid’s ability to synthesize collagen, and it can also brighten the skin (aka even out skin tone) and fight free radical damage. Some experts believe that MAP is not as powerful as L-ascorbic acid in protecting the skin though it does increase collagen synthesis. The most common of all analogs is the vitamin C ester known as ascorbyl 6-palmitate (AP). This ester allegedly is released from the lipid palmitic acid by esterases in the stratum corneum. However, a 10% concentration failed to increase the skin levels of LAA (L-ascorbic acid). It is alleged to have antioxidant effect and it supposedly reduces UVB induced erythema by 50% when a 15% concentration of ascorbyl palmitate (Apal) is used. However, … it suffers with a safety problem. When applied to human skin it strongly promoted lipid peroxidation and cytotoxicity, which could be cancer causing. Safety studies are still pending even though this data was published in 2006, and yet many products continue to use AP as an active ingredient. In my opinion, if there is that much discrepancy in opinions about this form of Vitamin C I would err on the side of caution and avoid it. Vitamin C products, probably more than any other cosmeceutical, must have stability data and clinical trials using the final product to prove efficacy and safety. Because of the highly effective reactive nature of LAA, product should begin being used as soon as possible after manufacture. It is important to ask the distributor for the manufacture date of that lot. Unfortunately because no federal control is mandates, many companies today in the cosmeceutical arena ask you to believe that somehow their product defies the laws of biochemistry and remains stable long after it was manufactured, when in reality oxidation begins immediately. So how do you choose the best Vitamin C product? 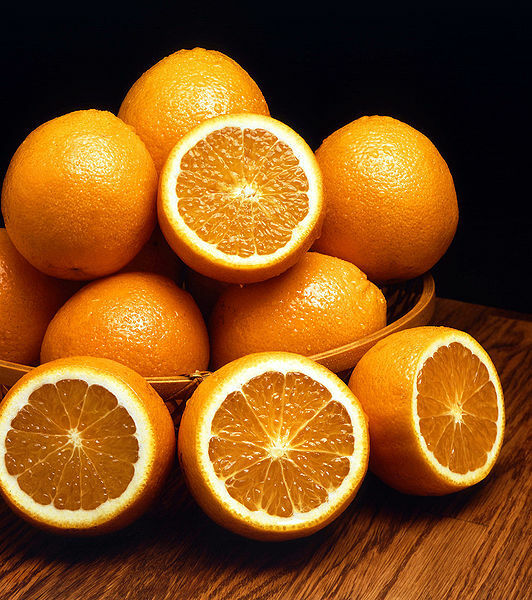 Future Derm recently wrote a great post about Vitamin C products, including recommendations. Keys to Unlocking the Benefits of Vitamin C – Skin Inc. This is a good read. It really is difficult to find a good topical vitamin C product. My current moisturizer is Jason Ester C, back when I didn’t know anything about skin care science I thought all products with vitamin C are created equal. But I still stuck with Jason Ester C though. But I don’t think it’s the Calcium Ascorbate in it that’s doing the right thing. I guess it’s just a pretty good moisturizer. The first 3 ingredients are water, vegetable glycerin, and sunflower oil as a 5th ingredient. Unfortunately, your question is outside my area of expertise. I think you need a cosmetic chemist or a doctor to answer this question, not an esthetician. Best of luck!